Chipotle Honey Mustard is here and ready for spreading, dunking, and a whole lot of face planting! We love it on veggie burgers, sandwiches, french fries and so. much. more. 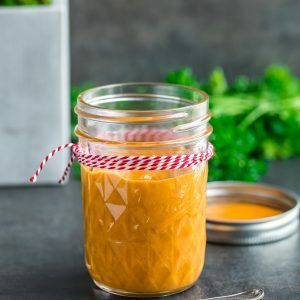 This technicolor condiment has been a staple in our house for a few years now and it’s about time it received it’s very own blog post! It’s sweet, smoky, tangy and seriously tasty. 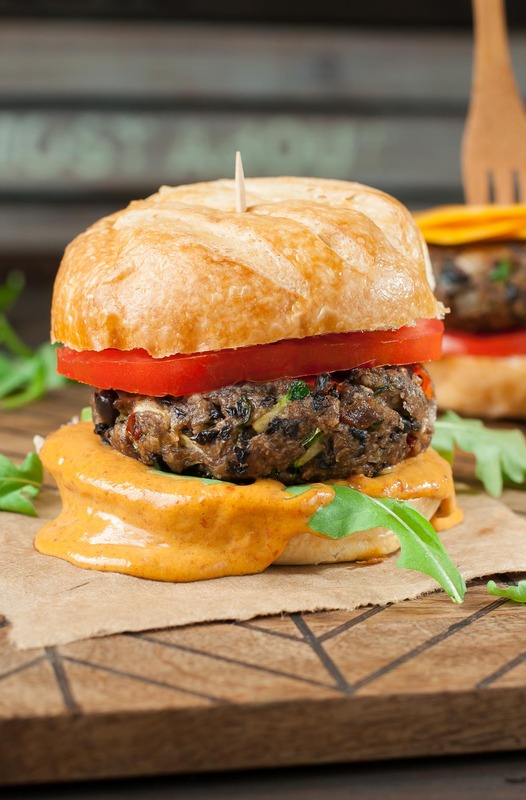 I originally created this saucy deliciousness to amp up the flavor of my beloved Black Bean Burgers but soon found myself putting it on everything in sight! It’s a delicious dip for french fries, zucchini chips, sweet potato fries (YES! ), chicken nuggets, tofu, and roasted potatoes and tastes ahhhhhhmazing slathered on burgers, veggie burgers, grilled cheese, and sandwiches galore. You should totally join me! Keep things magically mild with a kiss of chipotle or adjust to make it as bold as your heart desires! New to chipotle-tizing your eats? No problem! Start with about half of what the recipe calls for and then taste, as you go, adding as much extra as your heart desires. The recipe below yields a small jar and can be doubled or tripled as needed. Easy peasy! For advance prep and leftover sauce, it’ll keep for a few days in an airtight container in your fridge. Enjoy! Recipe yields 6 (2 TBSP) servings. Simply combine all the above ingredients and blend using a small food processor or immersion blender - it's that easy! No appliances handy? No problem! You can either mince the peppers up and leave the sauce a little more textured or simply skip the chipotle peppers entirely and just use extra adobo sauce from the jar to whisk into your honey mustard. Start with a little and add extra to taste! Want it spicy? 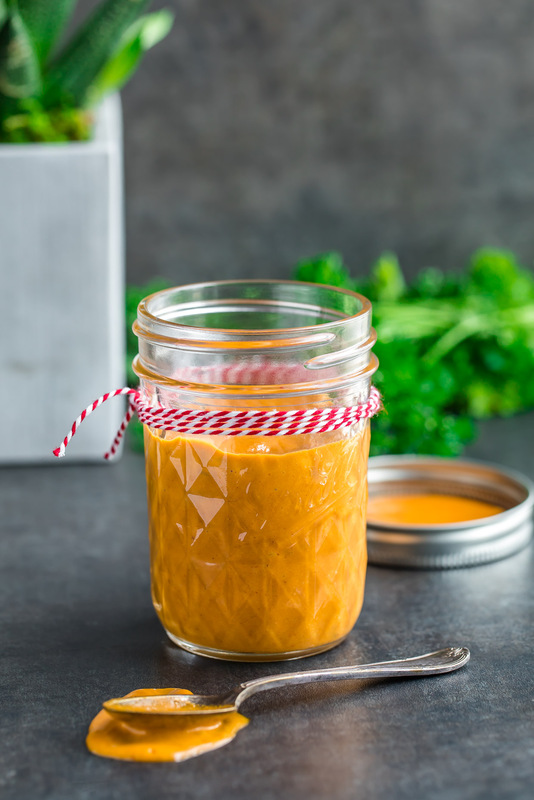 You can add ground cayenne pepper, red pepper flakes, or even your favorite hot sauce to the mix to get some serious heat in this sweet and smoky sauce! Since this recipe won't use the entire jar-o-peppers, I'll include some more tasty chipotle recipes at the bottom of this post to help you use up them up! 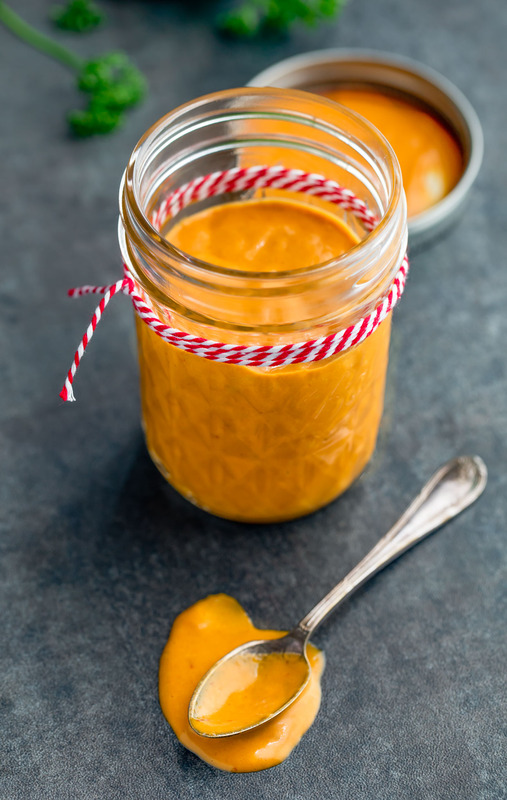 If you get a chance to try this zesty chipotle honey mustard, totally let me know! Leave some love in the comment form below or tag your photos with @peasandcrayons on Instagram so I can happy dance over your creation. crazy for chipotle? use up the rest of jar with these tasty recipes! Beautiful. Love your ingredients. When I catered casual get togethers and served sandwiches/sliders (mostly for the men folk) I always made fun mayos or butters. I mean, why not?!! I used it as a dipping sauce for fried Chicken tenders and french fries, it is so good. I will make this again. I putting this in my forever recipes.